Skygrove is a proposal by HWKN architecture firm, who have envisioned a new building typology inspired by mangrove trees. The building design adapts climate change directly into its infrastructure. Skygrove’s concept is to accomodate rising sea levels, coastal flooding, tsunamis. 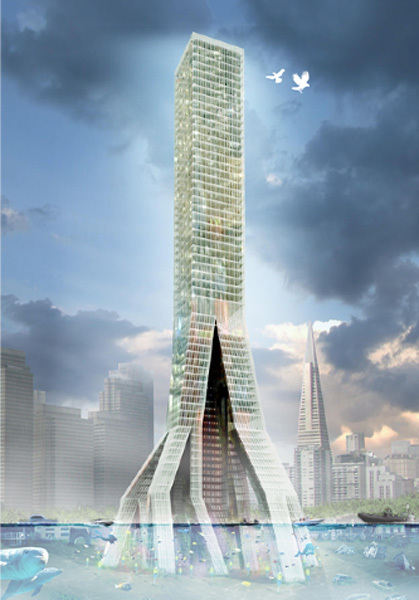 This exciting form of biomimicry is a bold attempt of twisting the conventional skyscraper with our future climate issues, but we are not convinced the building has to be so large to be considered a success.